There are lots of free things to do. That can make Washington DC a good deal for the frugal traveler. 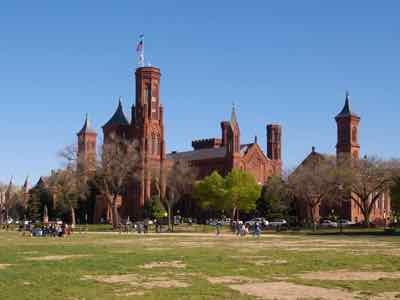 For starters, all of the Smithsonian Museums are free. According to the Smithsonian website, there are nineteen museums and the National Zoo. All by themselves, the Museums and the zoo could keep you going for several days. The Smithsonian Castle is a good place to start. Then branch out from there. What Else Can You See In Washington DC For Free? See stacks and stacks of money... there must be tons... and watch them make it. Walk to the Willard InterContinental Hotel. It's a landmark hotel having been on the Washington DC scene since 1850, and it's just two blocks from the White House. Sit in the lobby and check out the bar. It was from the "wheeling and dealing" in the lobby of this hotel that the term "lobbyist" came into being. Many historic events have taken place here; one recent one was when Martin Luther King, Jr. wrote his "I Have A Dream" speech while staying here. It's easy to see historical documents in Washington DC for free... the original Declaration of Independence, the U.S.Constitution and the Bill of Rights are all free to see in the National Archives. See the Library of Congress. An hour long free tour will let you view the Main Reading Room with it's soaring dome, the marble columns, and circle of wooden reading desks. All sessions at the Supreme Court building are open to the public and are free. You can see the courtroom even if the Justices aren't there. 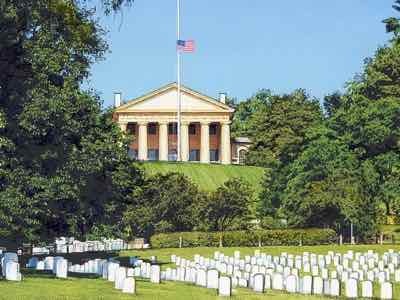 See President John F. Kennedy's grave-site and the Changing of the Guard ceremony at the Tomb of the Unknowns, and the Arlington House. President Lincoln was assassinated in Ford's Theater. The National Park Service operates a museum in the theater where you can see artifacts and look into the theater for free. If you want to see a play there, you must buy a ticket. You can see the John F. Kennedy Center for the Performing Arts for free. And an actual performance in Washington DC for free? Yes, everyday at 6 p.m. there is a performance or concert that's free to the public. If you're into stamp collecting, or even if you're not, visit the National Postal Museum. Get into the neighborhoods beyond the Mall. There are free self-guided walking trails marked with signs to tell you about these historic areas. The National Geographic Museum at Explorers Hall is a little further out, but you can check out free exhibits that highlight research the National Geographic Society is sponsoring. The list really does go on and on. Check monthly schedules to find out about free performances and special art exhibits. There are plenty of things to see and do in Washington DC for free. You can't eat for free, but you can get a hotdog and a soda from a street vendor on the mall for only a few dollars. The National Park Service operates a few refreshment stands, located in the front of various memorials and museums. There are museum cafes too. They are a little more expensive, but they are convenient to eat in so you don't have to take a cab ride or metro to a restaurant.